A high performance cloud messaging platform. It is designed to meet the messaging, federation, compliance, privacy, and security needs of the financial sector and other highly regulated industries. A fully integrated communication solution, Global Relay Message connects millions of users via a single global directory. A collaborative web service designed for the students and the faculty members of the Centre for Digital Media. An application designed for Recon Jet - a smart set of goggles by Recon Instruments - to motivate and inform cyclists. R&D game design project done for Electronic Arts - EA games. 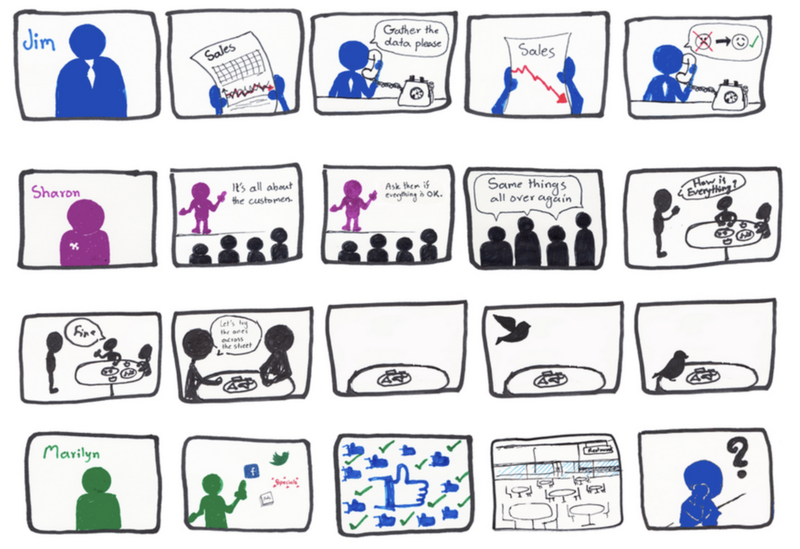 A storyboard project done for DRIVE Business Intelligence - a start-up company. Nowadays it is not easy to find the time to work on many side projects, but I try my best to find the time and do some of those as they are always inspiring and refreshing.